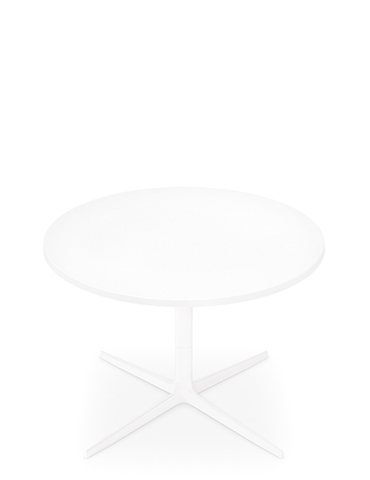 Small table with 4 way base in polished or painted aluminum. 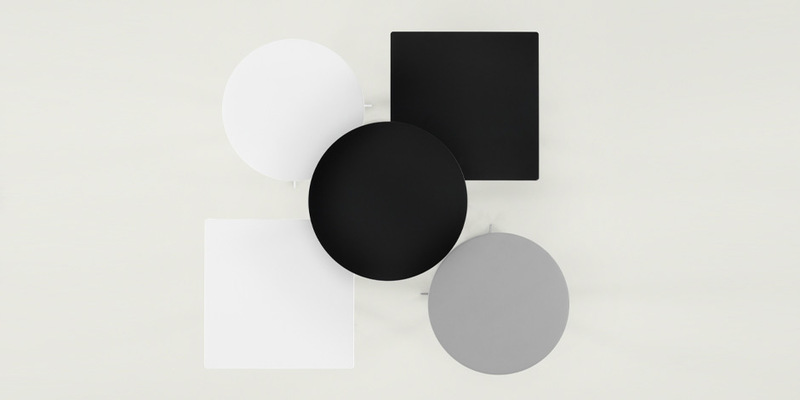 The top is available in polypropylene white, black or grey, in a round or square shape. 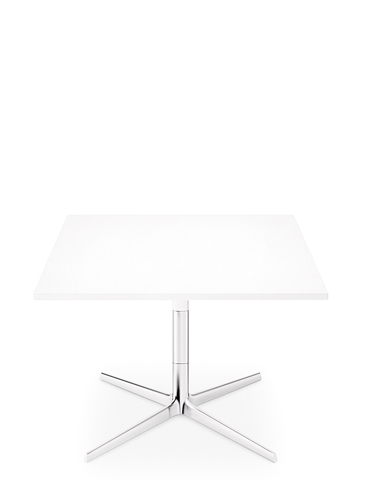 The base is fitted with adjustable glides. Height 50 cm.